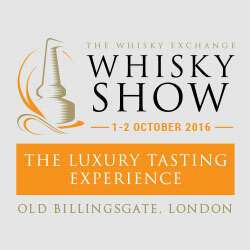 Ben's Whisky Blog: TWE Whisky Show 2014! Is this the world’s biggest whisky festival? 500+ drams, multiple masterclasses, a working distillery, all sorts of fun. This year I got to do the Saturday and the trade day (Monday) and may have just about recovered from the enormity. 7 hours of tasting whisky goes by so quickly when there’s so much to discover. 10 new Adelphi whiskies? A whole Weymss horizontal, including the absolutely sublime Bowmore 31yo “Loch Indaal Catch”? The new batch of Laphroaig 25? Three new Karuizawas and the Hanyu Joker? Loads of new Old Particulars? A whole new set of single malt of Scotland, Elements of Islay and other show bottlings? A whole new set of Signatory cask strength bottlings? The new Octomore?! A heavily sherried Arran 17 private cask? You can see why I had trouble sleeping the night before - and trouble getting up the morning after! Hazelburn 11 yo, the next Springbank Society bottling, out in 4-6 weeks. Also coming from Springbank a couple of organic whiskies. The Springbank Green (bourbon casks) – out in 4-6 weeks, 12 years old. And the Springbank 17 year old sherry casks – 9000 bottles in January. This last one was particularly wonderful. Springbank 25 year old (dream dram). Apparently the edict has always been “bottle it at 21” and hence, nothing older. A few years ago the 21s were a smaller batch and a few casks were kept back. This batch is from 4 casks, 1,200 bottles and will be out in January – only 180 bottles for the UK! The next batch is only 900 bottles in total. Eek. The lineup at Adelphi – lots of cool new stuff out released today. Look at the colour on that Glen Garioch! Glenlivet 25 – just because I could. The certificate of authenticity on the Tomatin 1981 (dream dram). A new Bruichladdich 1990 23 year old from Signatory – this was lovely. Cask 175. Linkwood 1985, 28yo Signatory picked by TWE – also amazing. Glenlivet 1981, 32yo Signatory picked by TWE. 25yo Bowmore for the show – retro label. Pricey! 18yo Craigellachie Old Particular by Douglas Laing. Lovely – the new Bunnahabhain OP is even better – forgot to take a photo of that though. New for August and weirdly not available from TWE site (just like the new Tomatin OP, it’s been omitted from TWE, although it’s out elsewhere). Ardbeg 21 Old Particular. Lovely, elegant. Laphroaig 25 2014 batch. Ripe, clean, light and lovely. The 18 was also beautiful. Bruichladdich masterclass on the trade day. Blogger table! Launch of the Octomore 6.3 Islay Barley! Uber provenance – it’s even let down a little with spring water from the Octomore farm! £150 a bottle, out soon. Beautiful comus like packaging on the 6.3. The new Port Charlotte Islay Barley. £55 a bottle, out soon. Finally, one of the most amazing drams – the Balblair 69. Oh yeah, nearly forgot this – a 1972 single cask sample from the 8th batch of Balvenie tun 1401. BOOM! What a rollercoaster! I’m barely recovered now. An amazing event, thanks everyone at TWE!